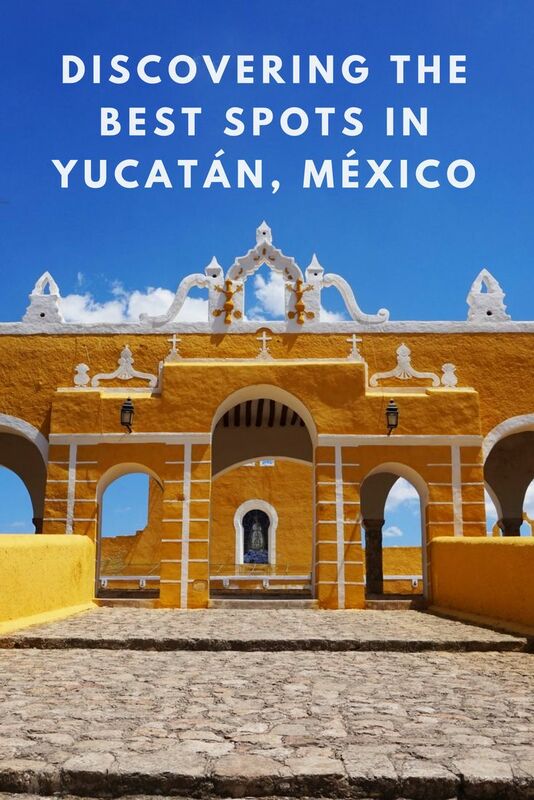 While we already had the chance to discover and explore the eastern part of the Yucatán Peninsula of México – like places such as the amazing beaches of Tulúm or the blue lagoon of Bacalar – we now decided to have a look at its neighboring state of Yucatán. Yucatán itself is located on the northern part of the Yucatán Peninsula. 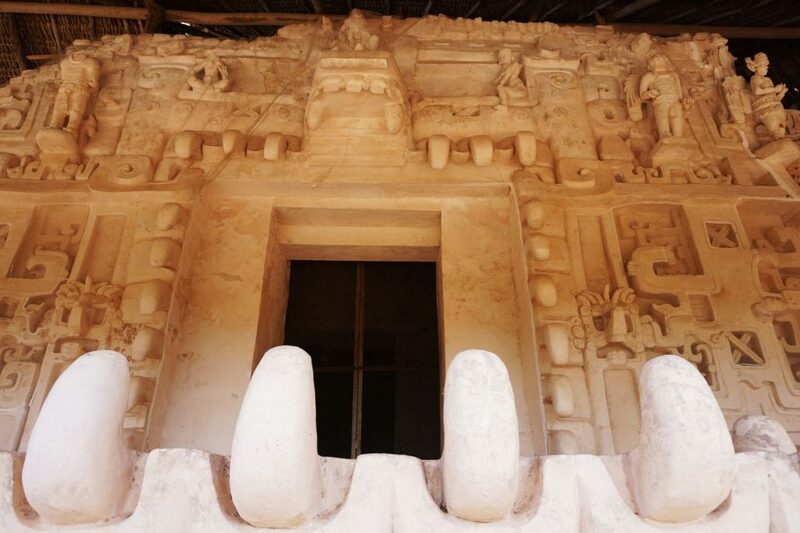 It is not only blessed by beautiful beaches and stunning natural sites but was also once a very important region for the ancient Mayan civilization, which reached the peak of its development here. Numerous archeological sites can be found here, such as the world famous ruins of Chichén Itzá. 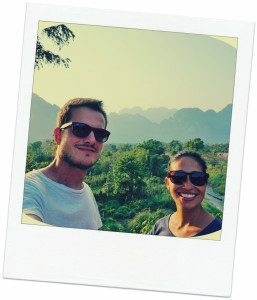 We stayed in the capital city of Mérida and went on an exploring mission around the various corners of this state to find the most beautiful spots. 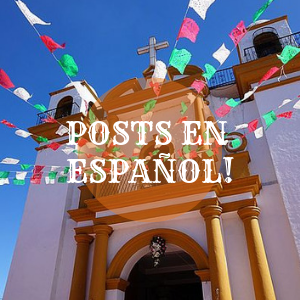 Most of the places can be visited within day tours from Mérida. Other places are a bit further out and can be combined with an overnight. Either way, we recommend renting a car – roads are good and safe across Yucatan Mexico! 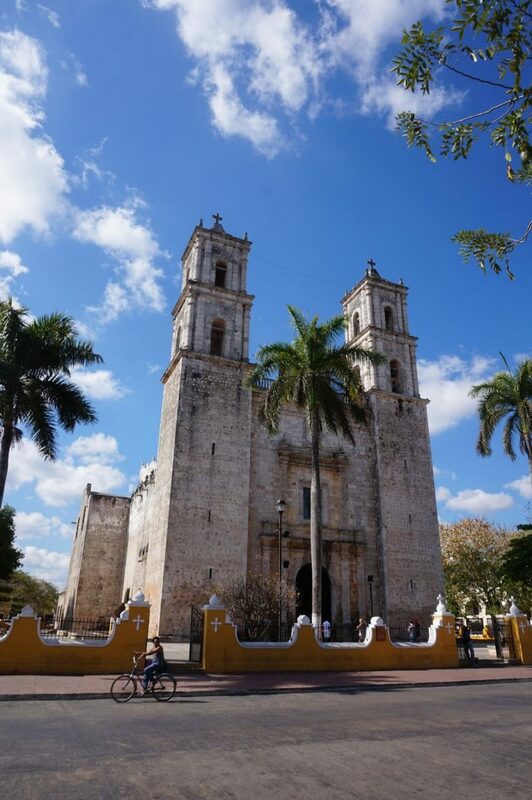 The best place to start your Yucatán adventures is in its capital city of Mérida. 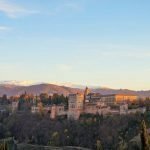 It is a very cosmopolitan town with a strong history and offers a variety of places to discover. 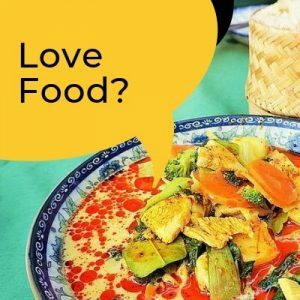 There are lots of hostels and hotels, a good selection of cheap eats, a thriving market and loads of cultural spots to spend your time. Its a popular tourist destination but still calm enough to not feel overwhelmed by the crowds. It still maintains its small-town charm and can be seen as the cultural crossroad of the entire region. 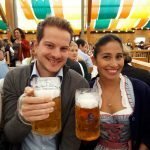 Exploring Tip: Join the guys over from Pink Cactus for an amazing free walking tour of the city. 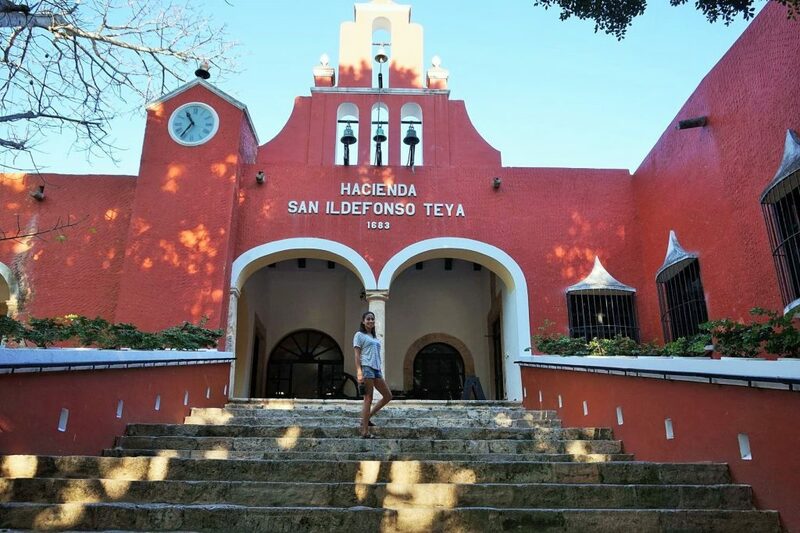 Food Tip: Dine out at the famous Restaurante Hacienda Teya – a great restaurant serving traditional, Yucatán foods in an amazing setting. 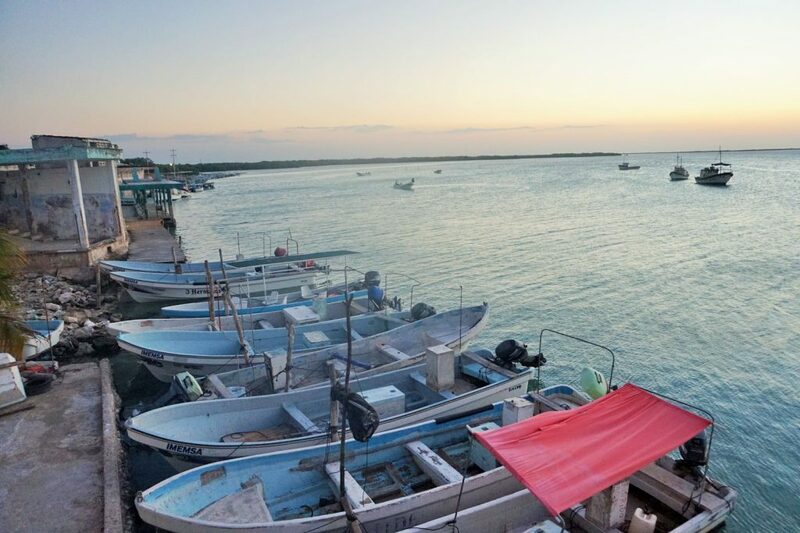 About 90 kilometers west from Mérida lies the fishing village and biosphere reserve of Celestún. It is known for remote beaches and its beautiful and abundant wildlife. Its ecosystem is unique due to the mixture of fresh water from the rivers and salt water from the ocean. Famous species found here are Pelicans, sea turtles and Flamingos. We had the chance to see thousands of Flamingos while on a boat ride around the reserve. Exploring Tip: Take a Flamingo boat ride and explore the area by boat to see all the hidden hot spots. The boats leave right after you cross the bridge towards Celestún town. 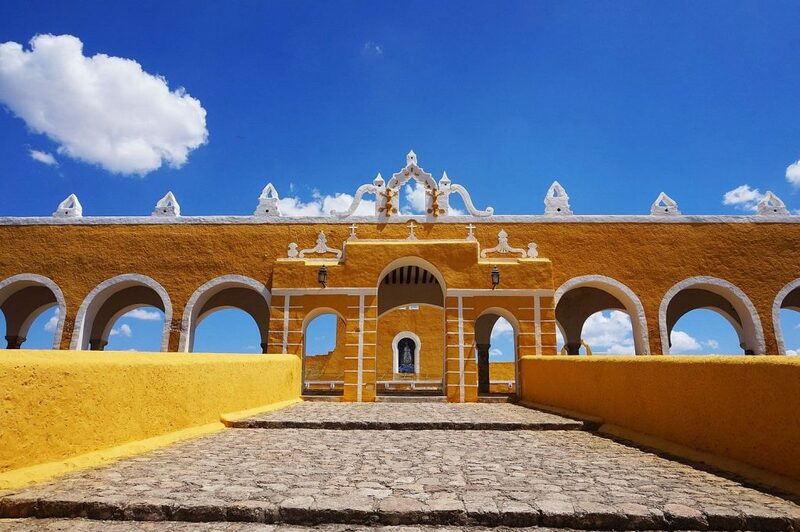 Izamal is located 72 kilometers east of Mérida and is a so-called pueblo mágico, a magic town. You will see why once you walk through its small, pebble-stoned streets and yellow buildings. Izamal has deep roots in both Mayan and Spanish colonial times and is still a regional pilgrimage site. The town has an interesting mix of Mayan, Hispanic and modern influence, making it an amazing place to visit on your tour around Yucatán. 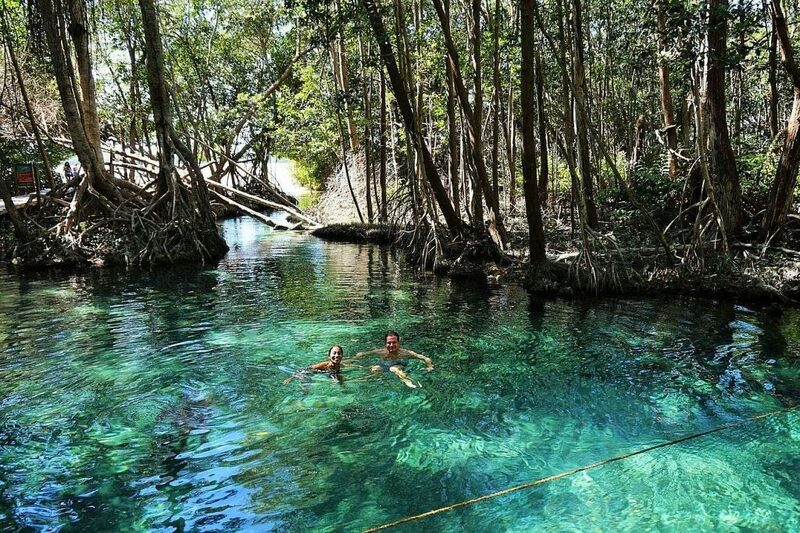 It is one of our favorite spots in Yucatan Mexico! 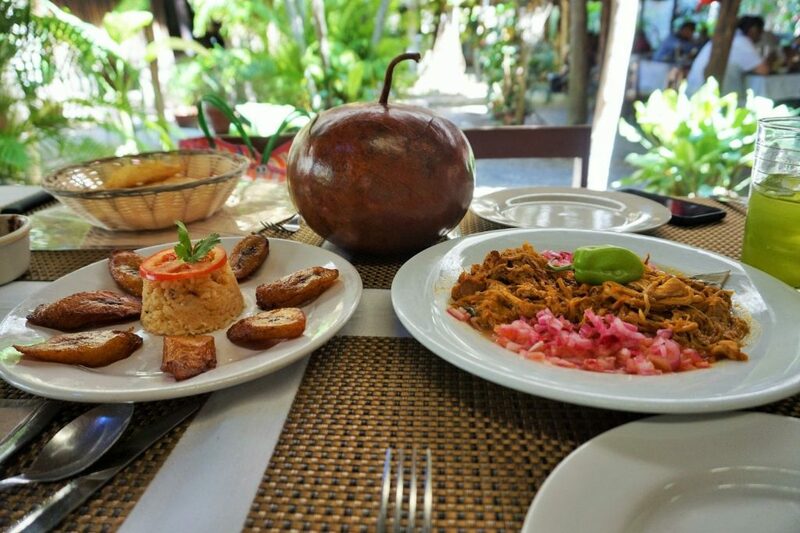 Food Tip: Have some food at the Kinich El Sabor restaurant and enjoy some amazing, local, Yucatán-style cuisine. The town of Volladolid is located within the inland and eastern part of Yucatán. It can serve you as a hub for exploring the neighboring sites. 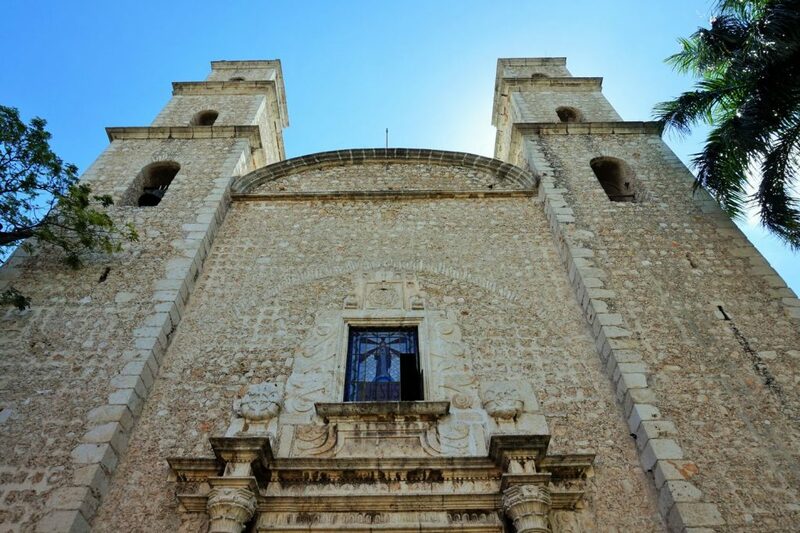 The town itself is strongly influenced by Spanish-colonial architecture and was once a very important cultural and religious center of Yucatán. 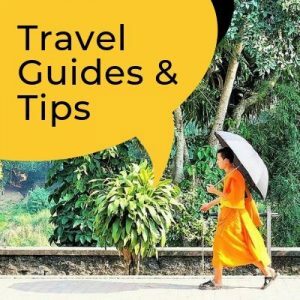 Exploring Tip: Have a look at the Cenote Zaci, a huge freshwater cenote, or underwater sinkhole in the town. 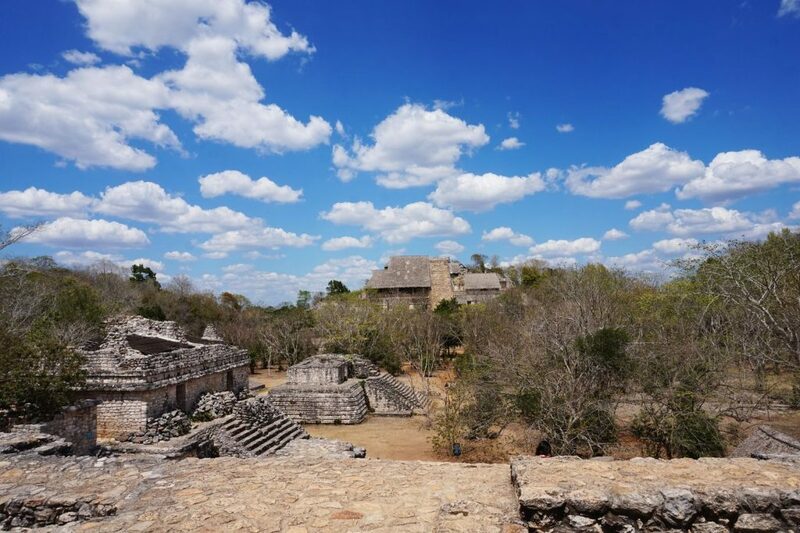 One of the highlights of the places you can visit around Valladolid is the Yucatec-Maya archeological site of Ek’ Balam. Translated as ‘black jaguar’ in the Mayan language, this site is noted for a king’s tomb along with beautiful structures and wall paintings. The entrance to its tomb is in the shape of a mouth with teeth, hence the name of the site. The ruins are quite impressive and the main structure, the Acropolis, is over 30 meters high. The stairs are quite steep to get up but once you are there you can enjoy some great views of the structures and the surrounding plains. 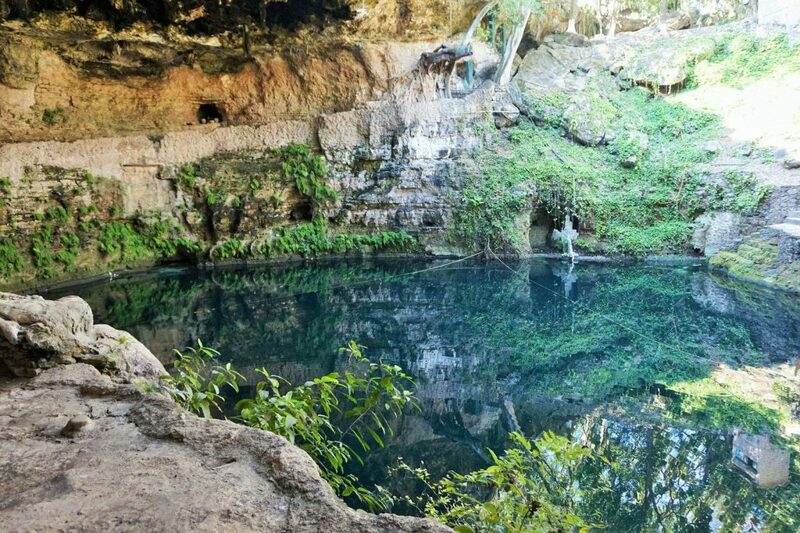 Exploring Tip: After walking around the ruins you can enjoy a refreshing swim in the X’Canche cenote, a freshwater sink-hole not far from Ek’Balam. 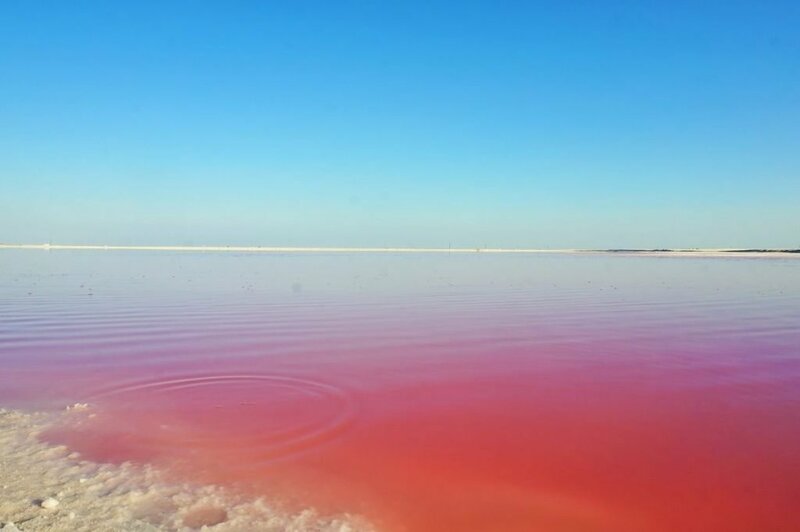 A rather fascinating and surreal place in Yucatán are the incredible Pink Lakes Mexico. These are man-made lakes that are used for getting salt as the area is known for salt-production. Water is filled in shallow lakes to evaporate and leave the salt behind. Small, red and pink-colored algae and invertebrates (which are the food of the flamingos – making them pink) are highly concentrated and give the lakes an intense, pink color. 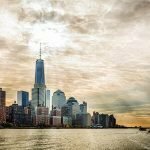 Its a spectacular, natural phenomenon and definitely an interesting trip to take – and something you wont find in many other places. Very close to the pink lakes of Las Coloradas is the small fishing village of Río Lagartos. Here you can find a beautiful lagoon and a big natural reserve where you can observe hundreds of birds as well as Flamingos and crocodiles. It has a nice, cure port by the lagoon where you can enjoy some local foods in the restaurants around. They offer various tours and trips around the lagoon. 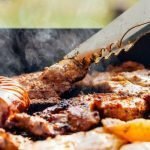 This town is a nice addition to your tour around Yucatan Mexico.